HFCS or high fructose corn syrup was first invented by a Japanese scientist named Yoshiyuki Takasaki in 1966. High fructose corn syrup made its way into the American food supply by the mid 1970s. Since then, high fructose corn syrup has taken off like a rocket and found its way into nearly every product on our supermarket shelves. 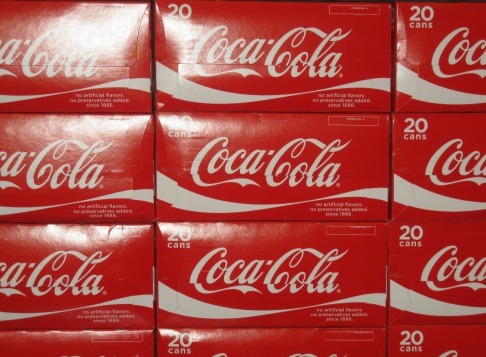 Americans consume 63 pounds of HFCS per person, per year. 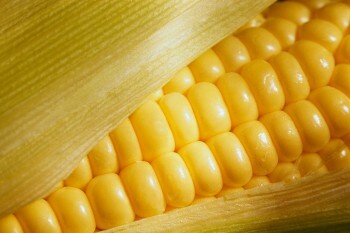 High fructose corn syrup is made from mechanically altered corn. It's actually composed of 55% fructose and 45% sucrose, and has a very similar composition to regular table sugar. High fructose corn syrup acts as a browning agent for cookies and sugary products. It is much sweeter than table sugar or sucrose, so food suppliers greatly favor these properties as a food additive. High fructose corn syrup differs from naturally occurring fructose. Fructose is the part of fruit that makes it sweet. What is so incredibly fascinating about natural fruits is that mother nature in her innate wisdom pumps her fruit full of fiber. The fiber protects you from dangerous insulin surges that would happen if you drank the juice alone. This is why whole, natural foods are so safe. When you drink the juice alone, you are drinking pure fructose, and this is not recommended. Dr. Robert Lustig from Sugar, The Bitter Truth, explains that fruit juice is a poison, and the fiber is the antidote. The sugar in plain fruit juice has the power to raise your blood sugar to very dangerous levels. 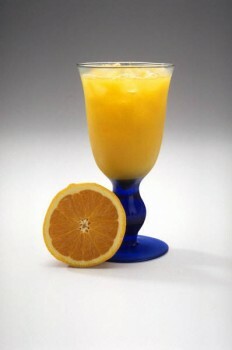 Fruit juice has a glycemic index of 100, the same as pure table sugar. Fruits like oranges or cherries contain fructose, but because of the enzymes, nutrients and fiber these fruits contain, the fructose in fruit is perfectly safe. When the fiber is removed, that's where the problem begins. Fruit juice is not part of a healthy diet. 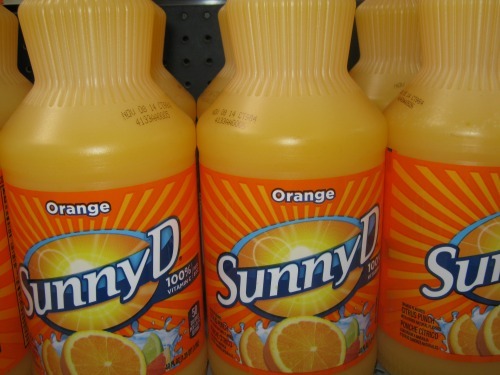 Advertisers don't disclose this information in their orange juice commercials. There are very specific dangers regarding high fructose corn syrup. High fructose corn syrup leads to the production of excessive uric acid. Excessive uric acid leads to painful gout and hypertension. Constant fructose exposure leads to metabolic syndrome, which is classified as obesity, Type II Diabetes, insulin resistance, cardiovascular disease and high blood pressure. High fructose corn syrup is basically poisonous to the liver, and is the leading cause of non alcoholic fatty liver disease (NAFLD). Non alcoholic fatty liver disease used to be very rare. Now, according to a study conducted in 2006 in San Diego, California, 1 in 10 children have NAFLD. The fructose in fruit juice or sodas containing HFCS has a dangerous metabolic effect on the liver. The liver is the only organ that can metabolize fructose. So in a very complex way, fructose acts as a poison and is toxic to the liver. Click here to learn how HFCS damages the liver. High fructose corn syrup initiates a process called cross linking of proteins, which are AGE's or advanced glycation end products. HFCS is incredibly sweet, dangerously addictive and widely available. The higher incidence of cancer comes from the inflammatory response and oxidation that is created by eating high amounts of fructose. Our brains do not recognize fructose. High fructose corn syrup confuses ghrelin, which is the hormone that says when you are hungry. High fructose corn syrup also disrupts leptin production, which is the "I'm full" hormone. When working properly, these hormones in the brain bounce off of each other creating a normal hunger, eating, satisfaction experience. High fructose corn syrup inhibits this process. This abnormal reaction in your system can create explosive, unceasing hunger pangs and lead to morbid obesity. Fructose consumption increases appetite and body weight. Fructose makes your brain believe that it is starving. The liver processes fructose very differently than it does glucose and other sugars. When acute fructose is introduced, Dr. Lustig in "Sugar, The Bitter Truth," states, "There's no transporter for fructose on the beta cell that makes insulin." Since high fructose corn syrup does not stimulate insulin very much, it confuses the centers of the brain which controls leptin production. The very thing to set the stage for leptin to work is the release of insulin in the first place. Since insulin is not secreted, our leptin does not go up either. Leptin is a hormone produced by our fat cells that tells us to stop eating. The brain literally cannot read that it has eaten anything. So in a very real sense, fructose stimulates hunger. Click this link to read more about the effects of HFCS on your metabolism. You've already learned that fructose does not stimulate the pancreas to release a substantial amount of insulin. You would think that is a good thing. It isn't. The reason high fructose corn syrup has a low glycemic index is because our brains do not recognize it as a food. When you eat any type of food, it's supposed to raise insulin, even if it's just a little. This is good and natural. HFCS does not stimulate insulin because it is not a naturally occurring substance found in nature. How Does High Fructose Corn Syrup Make Me Fat? Our bodies are brilliant at making fat out of things that don't seem to make sense. You would think, why would my body turn sugar to fat? But that's exactly what HFCS does. Drinking sodas is the same as drinking liquid fat. Fructose or HFCS immediately converts to fat through a very complicated physiological process. Our bodies are highly adaptive. Our body says, "Well, I'll do this with it." So our liver converts it to fat. HFCS tricks our brains because the normal receptors in our brains that recognize food as food can't read it. So the brain keeps pumping out signals telling us that we are still hungry. 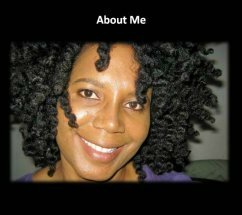 In a discussion on fructose and appetite in The Sugar Fix; The High-Fructose Fallout That is Making You Fat and Sick by Richard M. Johnson, M.D., and Timothy Gower, it states that fructose does a poor job of satisfying hunger. They also state that our appetite-control system ignores fructose, which causes systemic metabolic confusion. So what these doctors are saying is that when you eat high-fructose foods, your appetite is not satisfied, so you may keep eating. Fructose causes the body to believe that it's starving, and will continue to send hunger signals. Whole foods do not cause this problem. Click here for more information on whole foods. Click here to learn how food is processed and manufactured. According to research conducted by Peter J. Havel, PhD, at the University of California at Davis, women who ate beverages sweetened with fructose had a 35 percent drop in leptin, which is the satisfaction or "I'm full" hormone. In a nutshell, excessive fructose consumption creates leptin resistance. The first problem is your body doesn't recognize that it has already eaten because the brain is being tricked. The second problem is because of HFCS's addictive qualities and superior flavor, we crave more. The third problem is HFCS very effectively pumps fat into our systems. There is nothing in our national history that can compare to this unbelievably dangerous substance. High fructose corn syrup is incredibly sweet, dangerously addictive and widely available. One taste of this sweet poison, and you can think of nothing else until your next fix. Nutritionists call soft drinks and juice liquid candy. 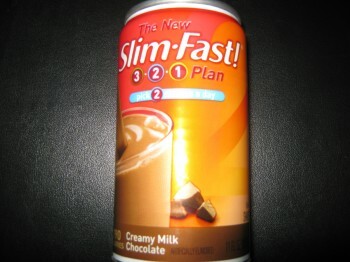 Products like Slim Fast cause metabolic disease and weight gain. You might as well have a Coke. Or wait. I have a better idea. Maybe they can change the name to "Fat Quick." The Corn Refiners Association does not have our best interests at heart. With misleading advertisements and television ads, they try to trick consumers into thinking that high fructose corn syrup is as safe as sugar. Neither HFCS nor sugar is safe, but HFCS is far more insidious and dangerous than table sugar. Now there's new information that the Corn Refiners Association is trying to change HFCS's name to corn sugar. This is a desperate attempt to restore public faith. The only way to permanently reduce your weight is to remove all products from your diet that contain high fructose corn syrup.